The Groovy file manager is available in the Processes module, if the expert options have been activated. Directories and files can only be deleted if the Groovy file manager has been opened from the menu. Deletion is not possible when opened via the script dialog of a process element. Displays a menu with which directories or Groovy script files can be created. Furthermore, you can also import externally created Groovy script files. 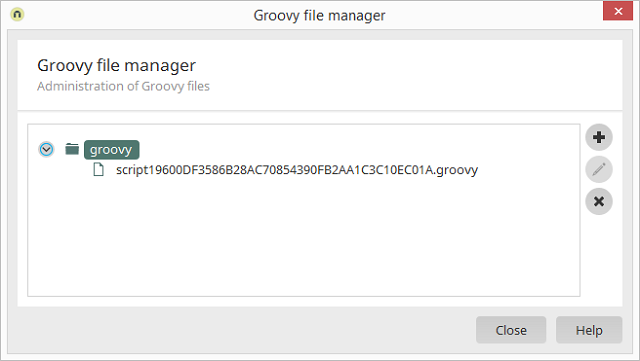 Every element in the Groovy file manager can be moved to the desired position via drag & drop. If you select an existing directory, you can then create subdirectories.